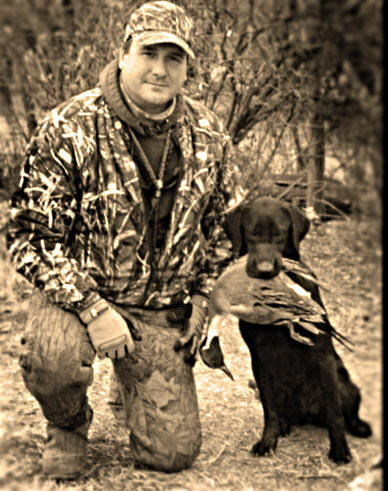 Retriever training and hunting are both a passion of ours as I’m sure it is for you. If you have never hunted with a trained retriever, you are missing the best part of the hunt. I love to watch the dog’s work and what they can be taught to do … this is why I do, what I do. Our goal is to form your dog into the best retriever it can be. By keeping in mind that all dogs are not created equal, some dogs may never be the next Field Champion, but that your dog has been trained to the extent of its natural ability. Our dog training regimen is tailored as per your request and can provide dog training for your next Companion Gun Dog or Hunt Test Champion. Please feel free to contact us with any questions. ·4th Place Flushing Singles: 1999 Cabela’s North American Sporting Dog Challenge-Rend Lake, IL. ·5th Place Flushing Doubles: 1999 Pheasant Hunters Unlimited- Canton, IL. Trained and campaigned numerous Labrador Retrievers and earned several advanced level titles in AKC, UKC and APLA Hunt Test’s.